PAW Patrol Racers to the rescue! Race Skye's spaceship to Adventure Bay and beyond for exciting rescue missions. Skye’s Racer has REAL working wheels. Just push and play. No job is too big and no pup is too small when you have Skye on a roll! Light up your child’s imagination with the entire assortment of PAW Patrol Racers and go on incredible racing rescue adventures with Chase, Marshall, Rubble, Rocky, Zuma and Ryder! 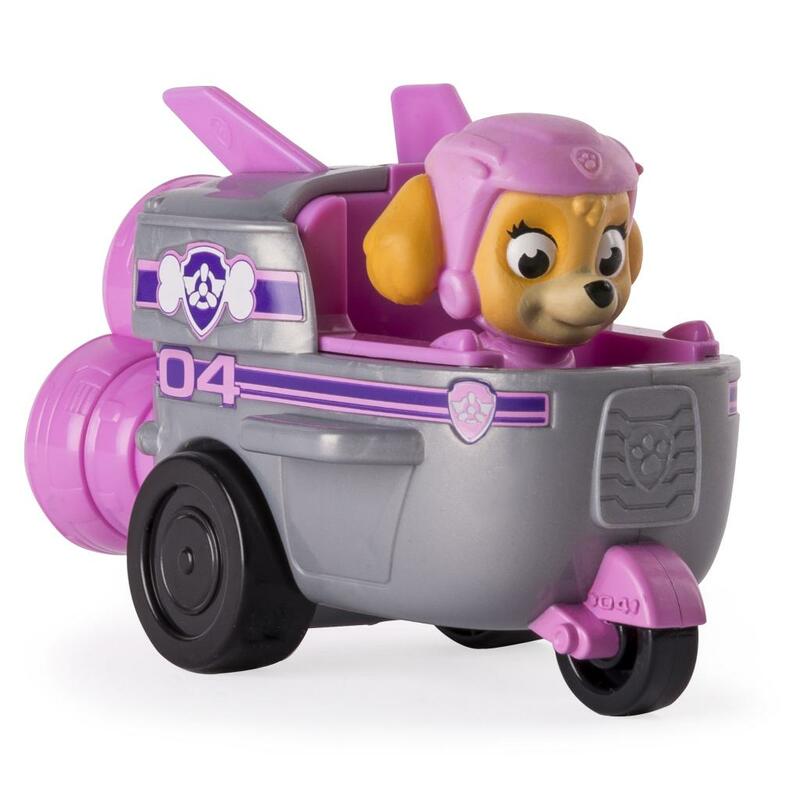 Skye's PAW Patrol Spaceship Racer is made for speed with real working wheels for push and play action! 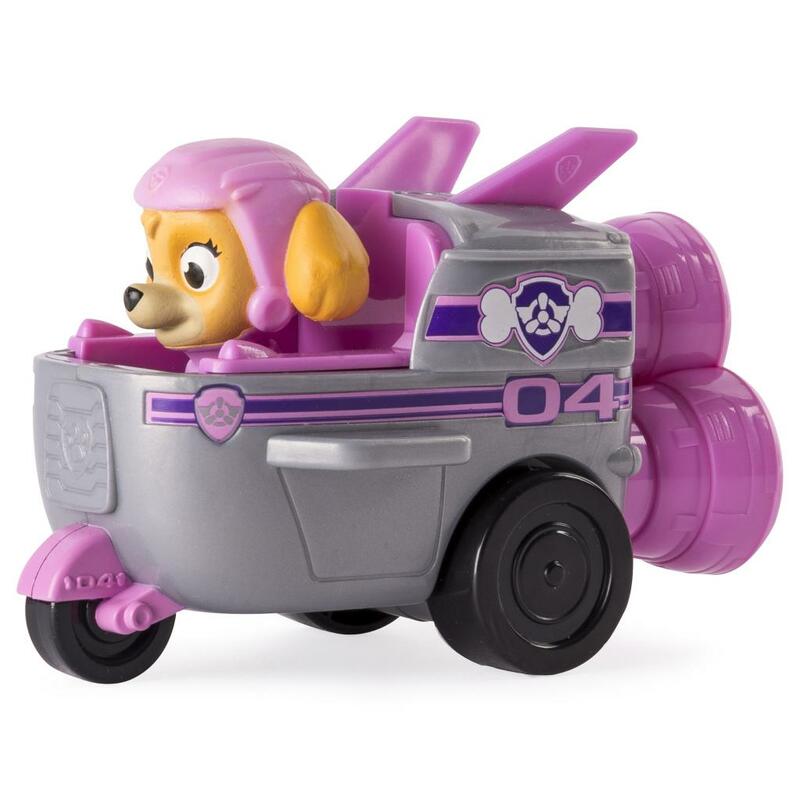 Collect the entire team with Marshall, Rubble, Chase, Rocky, Zuma and Ryder with their unique PAW Patrol Racer vehicles! PAW Patrol Racers are made for children ages 2+. No batteries required.